Let’s be real, there are a ton of splitrings out there money can buy, and many baits on the market that come along it. 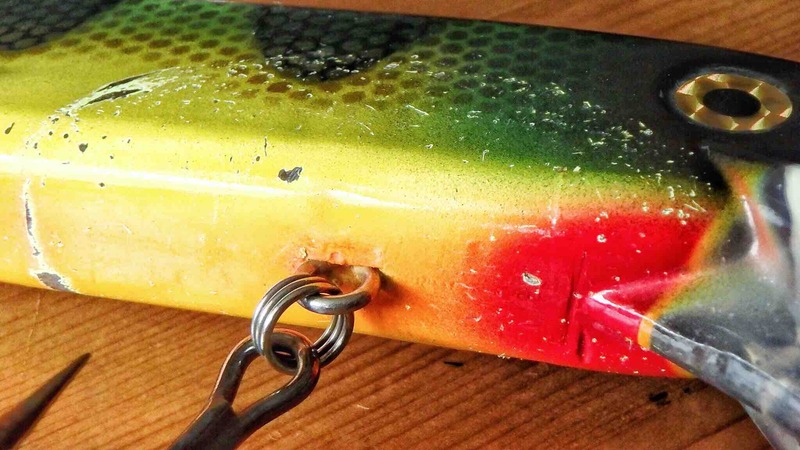 You’ll be shocked to find out how poor the quality is on 80% of the Muskie & Pike lures available. Why company’s do this, is a mystery. Perhaps is has something to do with saving out on the material to keep the price low, but it’s a serious issue in the industry. In fact, not many people realize that a quality splitring can literally make or break your day. What at first glance may look like a quality product, will sooner or later make you pay big time. 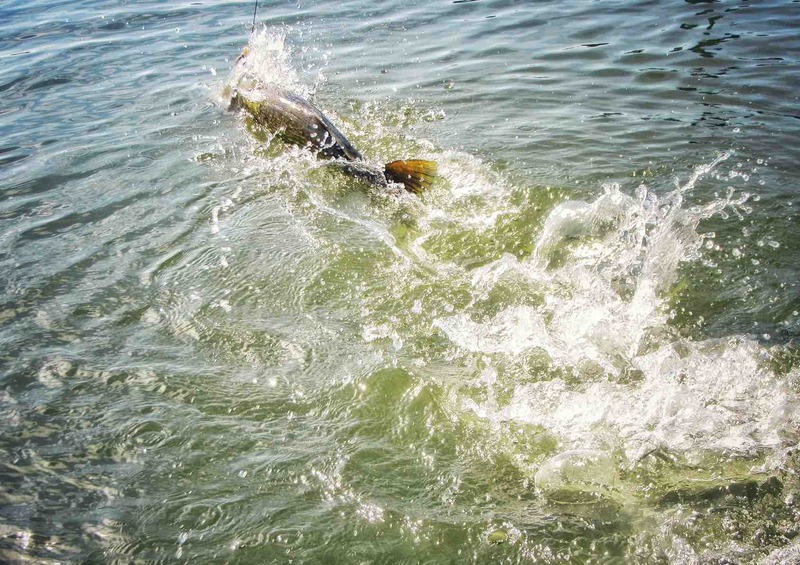 Any bait you own is put to the test time after time it hits the water. It does it’s job beneath the surface and attracts predators from nearby. Over the years I’ve used an incredible amount of baits from all kinds of lure manufacturers. After each day on or near the water, my Plano boxes are stored open, so that any left over water on the hooks or splitrings can dry out. Rust on hooks or splitrings can and will tear down the ”quality” tag of your material, so make sure you always store your baits in a dry place after a day’s fishing. You might want to choose for stainless steel wire to increase the lifetime of your splitrings. 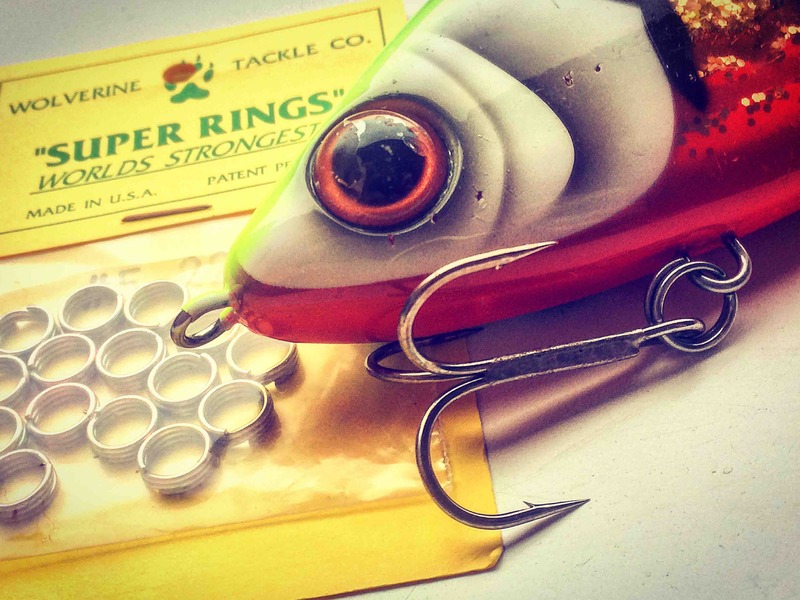 Stainless steel superrings like the one’s from Wolverine Tackle will also keep your hook eyes rust free. Plus they are incredibly strong. I have been using them for a large number of years now, and safe to say they never ever failed on me. They are triple wired, and because of this, un earthly strong. That is exactly what you want in the search of Monster fish. I cannot say it again, the force that comes to your hooks and baits when a fish is hooked in incredible. Sometimes splitrings can be ripped off during a single strike. You feel the fish bite, set the hook, feel the fish and in a split second all contact is lost. Hook has gone, ring gone. The fish has pulled the hook from your bait. Imagine how many times your baits get hit. How many times you’ll hook and fight a fish, how many force your rings have to receive and deal with. Have you ever thought about that? 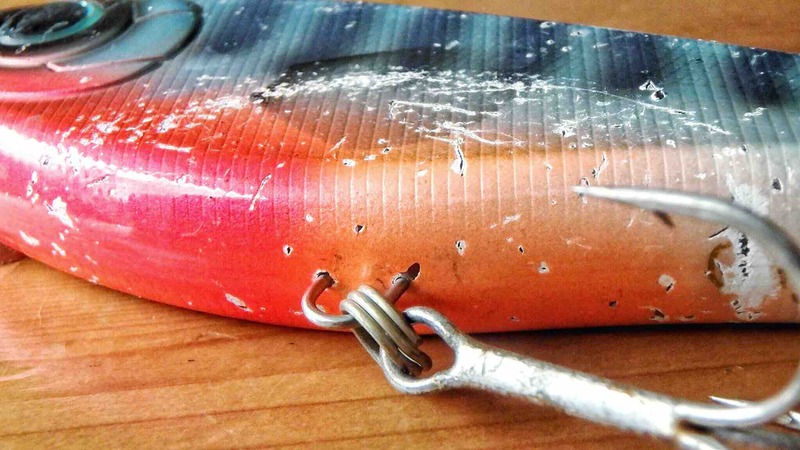 People spend so much money on other terminal tackle such as swivels, snaps and leader material, but forget about The essential part of their whole setup; the part that connects the hook to the bait you are fishing with. That’s where SuperRings come into place. 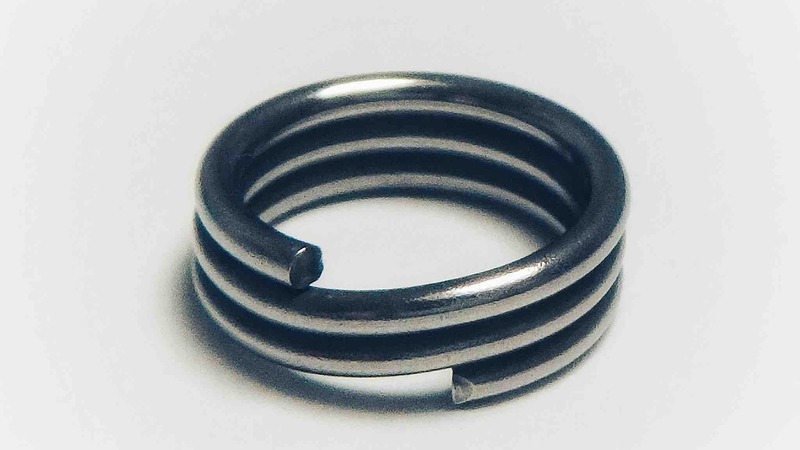 This 3 coil design gives you an unbelievable strength. Available in a wide variety of different sizes, number #6 in stainless steel still remains my favorite. This size can be used for just about any bait out there, and with a pulling strength of 200lbs, it doesn’t get any better than this. The reason why I didn’t choose the biggest size, is that some European hook eyes are too slim. But #6 fits just about any lure out there. Try some out for yourself, and see how well they work, how strong they are, and how much joy they will give knowing you’ll never have to worry about ring failure ever again. No matter how many years you use them, the quality will be always there. Truly uncompromised and reliable. Next time you set the hook into that fish of a lifetime the bite is on!